An urban freeway located in Melbourne, the Tullamarine Freeway serves an important role in connecting the Melbourne Airport to the city centre. As the main road that connects the airport to the CBD, most visitors will use the Tullamarine Freeway once they have landed in Melbourne. The Tullamarine Freeway officially begins at Pascoe Vale Road where it starts off as a three lane freeway, and exists as a dual carriageway and finishes at the Melbourne Airport before changing into Sunbury Road which continues to head north. On a typical day, it is not uncommon for travellers to face traffic, partly attributed to freight vehicles which join the Tullamarine Freeway from the Hume Highway, coupled with vehicular traffic from the airport. The freeway comes to an end after the ramp leading to Melbourne Airport. It takes just about 15 minutes to get across the Freeway, but during peak hours, this could take as long as half an hour. In cases where there has been an accident or traffic mishap, this time could increase significantly. For this reason, travellers are advised to make early plans, especially when they have a flight to catch. 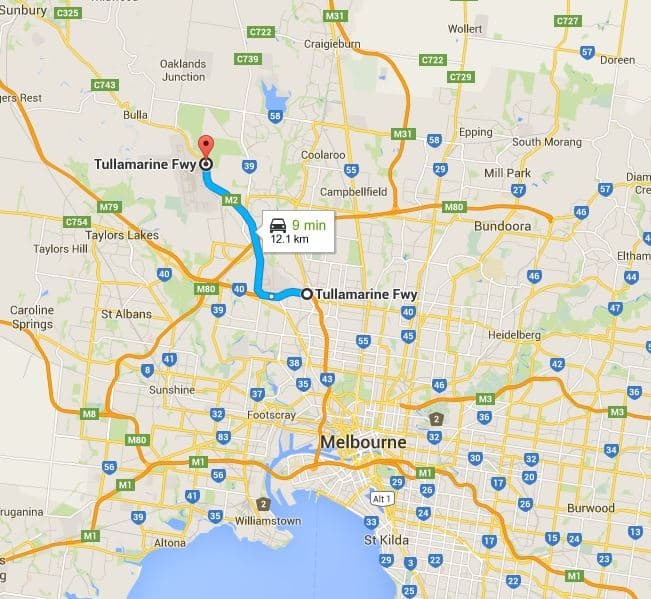 Make sure to allow sufficient time to get to the airport as the Tullamarine Freeway is the only access point. There are several exits and interchanges on Tullamarine Freeway, and while it is not possible to list all of them here, visitors must take note of their destinations in order to know what exit or interchange to take. The good news is that as one of the oldest freeways, the area around Tullamarine is relatively advanced, so accommodation and amenities are not a problem.